herzlichen Glückwunsch zu Ihrer Ernennung zum Direktor des TLRC, dem Translational Lung Research Center Heidelberg. Das TLRC ist eines der fünf Zentren des Deutschen Zentrums für Lungenforschung (DZL), zu dessen Vorstand Sie nun auch gehören. Offiziell haben Sie am 1. Februar die Aufgaben des Direktors von Herrn Professor Mall übernommen, der in Berlin die Professur für Pädiatrische Pneumologie und Immunologie an der Charité –Universitätsmedizin angetreten hat. Freuen Sie sich auf Ihre neuen Aufgaben als Direktor des TLRC? Ja natürlich! Das ist eine tolle Herausforderung und eine tolle Erweiterung dessen, was wir bisher im TLRC und im DZL gemacht haben. Welche Aufgaben werden das sein? Die Aufgaben teilen sich in verschiedene Bereiche auf. Zum einen auf die Lungenforschung am Universitätsklinikum mit dem Extra-Bereich der kommissarischen Leitung der Abteilung Translationale Pneumologie. Zum anderen auf die Partner am Standort Heidelberg, das DKFZ, die Thoraxklinik und das EMBL, die ich nun erst einmal alle an Bord holen und auf eine neue strategische Ausrichtung fokussieren möchte. Und dann gibt es den dritten Bereich, die Vertretung des TLRC im DZL, sowohl im Vorstand als auch im DZL allgemein. Image 1: Correlative clinical CT- Imaging of the samle lungs investigated during synchrotron experiment lungs at the local university hospital “Ospedale di Cattinara”. Image 2: Volume rendering of a propagation-based local area synchrotron scan of ventilated fresh porcine lung. White arrows indicate artificial lung nodules, which were created by injecting low melting point agarose. Image 3: (f.l.t.r) Fulvia Arfelli, Giuliana Tromba, Willi Wagner, Felix Wünnemann, Christian Dullin. ARTIChest phantom with fresh porcine lung in the experimental hutch at SYRMEP Beamline. Trieste, the home of Illy coffee, holds quite another attraction for Willi Wagner and Felix Wünnemann, two radiologists from Heidelberg: The Elettra Synchrotrone Facility. Both researchers pursue technological advances for the study of lung structure. The high-resolution synchrotone-based phase-contrast tomography offers new opportunities for further characterization of anatomical landmarks of healthy and diseased lungs. The whirlwind visit to Trieste was highly successful in that proof-of-concept could be obtained, which may pave the way for a future of Synchrotron-based local area free propagation phase contrast CT in clinical application. notorious Bora wind along the way. In just six days and thanks to the excellent support of Dr. Giuliana Tromba and her team form SYRMEP Beamline, as well as the Radiology Department at Ospedale di Cattinara (CT-scans) and a very ambitious schedule of experiments could be accomplished, including the generation and imaging of artificial lung nodules. The collaboration was initiated by Dr. Christian Dullin (Institute for Diagnostic and Interventional Radiology, University Medical Center Goettingen), who has a longstanding interest and exceptional expertise in propagation-based lung imaging. Heidelberg complemented his expertise with the ARTIChest phantom, invented by Prof. Dr. Jürgen Biederer (Diagnostic and Interventional Radiology, University Hospital Heidelberg). Despite the tight schedule, sufficient data could be generated for a short communication and a full manuscript (both in preparation). All involved in this innovative project are looking forward to the next set of experiments on the way to clinical application. For Wünnemann and Wagner, time at the facility was so precious that there was no time to explore Trieste, but Illy coffee was a most welcome boost for managing those nightshifts channeling the beamline. At the 7th DZL Annual Meeting, Prof. Werner Seeger, the Chairman of the German Center for Lung Research (DZL), welcomed the Heidelberg scientist Prof. Hans-Ulrich Kauczor onto the DZL board of directors. He also thanked Prof. Marcus Mall, the outgoing member of the board of directors, for his long-standing commitment and contributions to the DZL. Marcus Mall accepted the call for the Einstein-Professorship at the Charité and was also appointed Professor of the Berlin Institute of Health. Prof. Hans-Ulrich Kauczor, Medical Director of the Clinic for Diagnostic and Interventional Radiology at Heidelberg University Hospital, has been a principal investigator and founding member of the DZL since its establishment in 2011. He coordinates the DZL Platform Imaging together with Prof. Heinz Fehrenbach and Prof. Matthias Ochs. 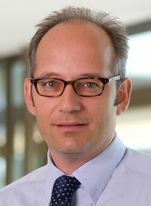 In February 2018, Prof. Hans-Ulrich Kauczor was appointed the new director of the DZL site Translational Lung Research Center Heidelberg (TLRC). He will also be acting head of the Department of Translational Pulmonology at Heidelberg University Hospital until a successor for Marcus Mall has been appointed. Marcus Mall is now medical director of the Clinic for Pediatric Pulmonology and Immunology, including intensive medicine and pediatric A&E at the Charité –Universitätsmedizin, Berlin. Based on an associated partnership of the DZL with BIH, Marcus Mall will continue his fruitful cooperation with the DZL as co-coordinator of the Disease Area Cystic Fibrosis. Chronic lung infection with Pseudomonas aeruginosa– in this smear the viscous areas are made up by Pseudomonas aeruginosa bacteria, which cause unwanted changes to the microbiome of the lung in patients with cystic fibrosis. Image: Alexander Dalpke. Contrary to previous assumptions the airways, including the lung, are not sterile but exhibit an ecologic niche for a variety of microorganisms similar to the known ecosystem of the bowel, though the composition of the airway microorganisms is still partly unknown. If the genetic material of all the microbes (= microbiome) in our lungs is in balance, we feel healthy. If, however, harmful microorganisms dominate, infections of the lung and reduced lung function ensues. The important question is what comes first? An out of balance microbiome that opens the door to pathogens or a causal chronic infection with specific bacteria that supersedes the normal microbiome? This fundamental question with regard to cystic fibrosis patients has now been solved by Prof. Alexander Dalpke, Deputy Chief Physician of the Department of Microbiology and Hygiene and Prof. Marcus A. Mall, Head of the Cystic Fibrosis Center at University Hospital Heidelberg. “Our findings show that changes in the microbiome are a consequence and not the cause of chronic infection with the bacteria Pseudomonas aeruginosa”, says Prof. Dalpke. Evidence of initial or regular detection of P. aeruginosa was obtained by repeated sampling of the airways of cystic fibrosis patients during quarterly routine check-ups and at times of hospitalization. The study received funding from the German Center for Lung Research (DZL) and has recently been published in the “European Respiratory Journal”. In patients suffering from the hereditary multi-organ disease cystic fibrosis the mucus in the airways is dehydrated and more viscous than in healthy humans. The clearance of such abnormally thick and sticky mucus by transport along the ciliated airway epithelium is impaired and offers a rich breeding ground for the bacterium Pseudomonas aeruginosa, the culprit of infections that rapidly lead to a deterioration of lung function in cystic fibrosis patients. Traditionally, Pseudomonas infections are detected by cell culture methods. However, for this study the Heidelberg scientists sequenced the genes of the microorganisms (=microbiome) to assess the microorganism composition of airway samples. Using this approach it was possible to determine the microbiome from patients that were chronically, intermittently or never infected with Pseudomonas aeruginosa. “An initial infection treated aggressively with antibiotics could protect patients not only from a chronic infection but also prevent further unwanted changes in the microbiome”, explains Dalpke. 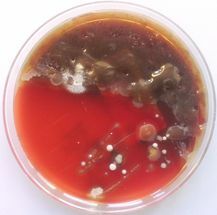 Importantly, once a chronic Pseudomonas infection is established it can usually only be suppressed and not eliminated with antibiotics because the bacteria tend to hide behind a protective biofilm. “Children with cystic fibrosis remain Pseudomonas-free for longer after very early onset treatment and we found fewer changes in the microbiome”, summarized the microbiologist, Prof. Dalpke. More than 100 types of bacteria can be found in the lung – what is their function? n total, 392 airway samples from 71 patients were investigated. 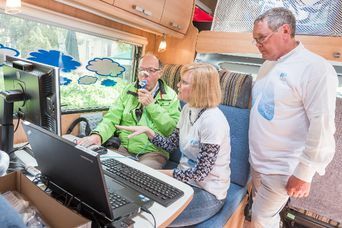 Thanks to the close cooperation with the Children’s Pulmonology Division of the University Hospital Heidelberg infants, for which data is rare, were also sampled. The results demonstrate that the microbiome can consist of more than 100 different types of bacteria, and the composition may vary significantly from patient to patient. It is still unclear whether the microorganisms of the upper airways that colonize the lung over the course of a lifetime may have a protective effect. Prof. Dalpke: “Potentially, microorganisms of the upper airways such as bacteria of the type Neisseria, Veillonella and Pretovella may be associated with a better lung function. This is currently hotly debated and subject to further research”. Boutin S, Graeber SY, Stahl M, et al. Chronic but not intermittent infection with Pseudomonas aeruginosa is associated with global changes of the lung microbiome in cystic fibrosis. Eur Respir J 2017; 0: 1701086 [https://doi.org/10.1183/13993003.01086-2017 ]. In a special edition "World of Science: Cutting-Edge Research" the newspaper ZEIT reports on the five-year success story of the German Center for Lung Research (DZL). Five research highlights provide insight into the current advancement in research for a wide range of lung diseases. The interdisciplinary approach to lung research for the benefit of patients is at the core of this research network, involving 28 leading German research insitutions and university hospitals. Professor Werner Seeger, chair of the DZL, is interviewed about the importance of lung research, the international visibility and his vision for the future of the DZL. Besides the print edition there is access to additional research highlights in the ZEIT ONLINE edition. 01.08.2017: From August 1st, Professor Dr. Hauke Winter will take up his new position as chief physician and head of the Department of Thoracic Surgery at the Thoraxklinik Heidelberg. The modell German Centers for Health Research (Deutsche Zentrum für Gesundheitsforschung (DZG)) is well suited to closely connect all relevant national players on an institutional level as well as in terms of infrastructure and long-term perspective, to manage the translational process. This is the verdict of the German Council of Science and Humanities based on a recently published evaluation of this particular funding scheme. "The establishment of German Centers for Health Research provides valuable added value to the German resarch landscape" underlines the chairman of the Council of Science and Humanities, Professor Martina Brockmeier. June 2017: How does pathological iron overload affect the lung? Figure: Microscopic image of mouse lung tissue with iron overload. 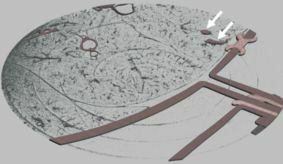 Cells that accumulate iron, as marked by the arrows, turn a deep brown colour. 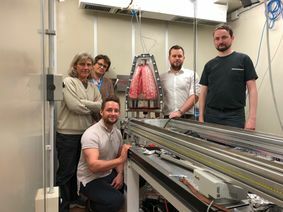 Scientists from the German Center for Lung Research (DZL) developed an animal model of severe iron overload to investigate the mechanisms of pulmonary iron deposition and their effects on lung function. In this animal model the iron overload resulted in elevated lung rigidity and reduced lung capacity. This is of particular interest not only for patients with iron overload due to genetic disorders but also for patients with other chronic restrictive lung diseases that are frequently associated with alterations in pulmonary iron homeostasis. The finding that iron deposition in the lung may cause or increase the severity of lung disease rather than be a byproduct of lung disease will be further investigated. 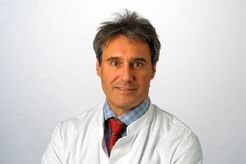 This interdisciplinary project led by Professor Muckenthaler from the Department of Oncology, Hematology, Immunology and Pulmonology of the Heidelberg Children’s Hospital also involved the Department of Translational Pulmonology at Heidelberg University Hospital and scientists from the DZL sites Institute of Functional and Applied Anatomy, Biomedical Research in Endstage and Obstructive Lung Disease Hannover and Universities of Giessen and Marburg Lung Center. The Fellow of ERS award recognises excellence in contributions to research, education and clinical leadership in respiratory medicine from amongst the ERS membership. The award brings together members who have excelled in their field to form an elite advisory board that will be called upon by the society on various matters in future years. The 2017 reception for new Fellows of ERS will take place during the ERS Congress in Milan, in September. On the occasion of its 5th anniversary, the public was invited to visit the DZL stall right in the middle of Heidelberg's historic city center. Information leaflets about reseach successes, a lung quiz and a mobile unit offering lung function tests free of charge attracted young and old passers-by. The 15th Symposium of the Cystic Fibrosis Center Heidelberg focused on new therapies for the treatment of the CF basic defect and the treatment of diabetes in CF patients. Over 180 patients, next of kin and care professionals attended the symposium. Scientists from the Translational Lung Research Center Heidelberg (TLRC) identify an important disease mechanisms of allergic asthma and potential new therapeutic strategies. Results recently published in the Journal of Allergy and Clinical Immunology showed that in juvenile mice impaired mucus clearance causing reduced clearance of inhaled allergens is an important risk factor for allergen-induced type-2 airway inflammation. Further, it was demonstrated that the airway epithelium itself is a key player in triggering the immune response. 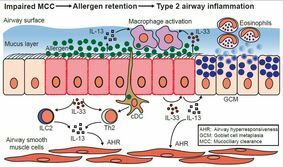 If allergens were not removed efficiently because of impaired mucus clearance the airway epithelium released the messenger molecule Interleukin-13 (IL-13), which activates specific cells of the immune system (T-helper cells type 2 (Th2)), thus triggering inflammation. "This is a new finding: the allergic inflammation in the lung is not primarily triggered by dysfunctional immune cells. Instead the immune cells respond to a call for help by the airway epithelium. Though allergens themselves also trigger an immune response, this is less pronounced when there is no concurrent impairment of mucus clearance", explains Professor Mall. On treating the juvenile mice with the drug amilorid, which improved the mucus clearance, less IL-13 was released and the allergic reaction less pronounced. These results suggest therapeutic improvement of airway mucus clearance as a novel treatment strategy for patients with allergen-induced asthma. This research was conducted in close collaboration with colleagues from the unit of Pediatric Pulmonology and Allergology at the Center for Pediatric and Adolescent Medicine at the University Hospital Heidelberg and was funded by the German Center for Lung Research (DZL). Results recently published in the American Journal of Respiratory and Critical Care Medicine confirm the sensitivity of magnetic resonance imaging (MRI) and the lung clearance index (LCI), a measure of abnormal ventilation distribution, to detect damage to the lung from early infancy. This is the first study to systematically compare both methods from infancy to early adulthood in patients with cystic fibrosis. “The study results are not only a breakthrough for diagnosis and disease monitoring but these methods allow us to test new preventive therapeutic strategies that we developed over the past few years with minimalizing the burden for our young patients” says Professor Dr. Marcus Mall, Medical Director of the Department of Translational Pulmonology at the Translational Lung Research Center Heidelberg (TLRC), Head of Pediatric Pulmonology and the Cystic Fibrosis Center. The study was conducted in at the Translational Lung Research Center Heidelberg (TLRC) in close collaboration with the Cystic Fibrosis Center at the Center for Pediatric and Adolescent Medicine, the Department for Diagnostic and Interventional Radiology, and the Department of Translational Pulmonology at Heidelberg University Hospital. The research was funded by the German Center for Lung Research (DZL), the Dietmar Hopp Foundation and the German Cystic Fibrosis Foundation (Mukoviszidose e.V.). The 19th German Cystic Fibrosis Conference took place from November 17th to 19th 2016, in Würzburg. More than 800 participants from various professions involved in the treatment and care of patients with cystic fibrosis discussed the most up-to-date research findings, new therapeutic concepts and other aspects of disease management. An important focus of the conference was the cystic fibrosis research program of the German Center for Lung Research (DZL). Scientists at the German Center for Lung Research (DZL), located at the German Center for Cancer Research (DKFZ), the National Center for Tumor Diseases and the Thoraxklinik in Heidelberg used liquid biopsies to detect mutations in circulating cell free DNA (cfDNA) in non-small-cell lung cancer (NSCLC) patients, which may provide a promising tool for early indication of therapy response and tumor progression in lung cancer patients. In this joint project serial liquid biopsies from sixteen NSCLC patients treated with tyrosin kinase inhibitor (TKI) were investigated. The results show that the liquid biopsy approach is sufficiently sensitive to detect changes in the tumor in real time. With early and frequent sampling this method promises to identify mutations in cfDNA prior to clinically detectable disease progression. Mutation analysis of circulating plasma DNA to determine response to EGFR tyrosine kinase inhibitor therapy of lung adenocarcinoma patients. Riediger AL, Dietz S, Schirmer U, Meister M, Heinzmann-Groth I, Schneider M, Muley T, Thomas M, Sültmann H. Sci Rep. 2016 Sep 19;6:33505. doi: 10.1038/srep33505. April 2016: Professor Ursula Klingmüller, a systems biologist at the German Cancer Research Center (DKFZ) and principal investigator at the Translational Lung Research Center Heidelberg (TLRC), member of the German Center for Lung Research (DZL), has been appointed to the German Ethics Council. The incid ence of gastro-oesophageal reflux is higher in patients with IPF compared to the general population. Since the 2011 international guidelines there exists a conditional recommendation for the use of antacid therapy, i.e. PPI or H2-blockers, in patients with IPF. This was based on data which suggested that IPF patients taking AAT have less deterioration of pulmonary function parameters potentially due to decreasing micro-aspiration associated lung injury and damage. However, the low confidence in estimates of the effect prompted DZL-scientist Prof. Michael Kreuter to initiate a new post-hoc analysis pooling data from the placebo arms of three multinational trials on pirfenidone in IPF. In this new analysis, published in Lancet Respiratory Medicine1, antacid therapy was not associated with a slower disease progression in IPF. Moreover, in patients with advanced disease antacid therapy was associated with a significantly higher incidence of pulmonary and non-pulmonary infections. These findings do not support the conditional recommendation for antacid therapy and underline the urgent need for long-term, randomised, placebo-controlled studies to investigate the effect of antacid therapy in patients with IPF, particularly in those with advanced disease. Steven D Nathan. Antacid therapy and idiopathic pulmonary fibrosis: cause for heartburn? Since the 1990s, lung volume reduction (LVR) has been successful in improving lung function and quality of life in some patients with severe emphysema. A critical review of the literature, in particular procedures used for lung volume reductions, has prompted DZL-Scientists Felix Herth and Daniela Gompelmann and team to initiate the STEP-UP Trial, which adopted a segmental approach, which targets only the more diseased segments for reduction and reduces the volume treated per session. For this first randomized controlled trial to investigate thermal vapour ablation, study patients between 45 and 75 were recruited at ten hospital sites in Europe and three in Australia. Key inclusion criteria were evidence of upper lobe-predominant heterogeneous emphysema, FEV1 between 20 to 45 % predicted, post-rehabilitation 6-min walk test (6MWT) greater than 140 m, and non-smoking for at least 6 months before study enrolment. Results published in Lancet Respiratory Medicine1 confirmed that compared with standard medical management, targeted thermal vapour ablation of more diseased segments and preservation of less diseased segments resulted in clinically meaningful and statistically significant improvements in lung function and quality of life at 6 months, with an acceptable safety profile. 1Herth FJ, Valipour A, Shah PL, Eberhardt R, Grah C, Egan J, Ficker JH, Wagner M, Witt C, Liebers U, Hopkins P, Gesierich W, Phillips M, Stanzel F, McNulty WH, Petermann C, Snell G, Gompelmann D.Segmental volume reduction using thermal vapour ablation in patients with severe emphysema: 6-month results of the multicentre, parallel-group, open-label, randomised controlled STEP-UP trial. Lancet Respir Med. 2016 Mar;4(3):185-93. TLRC scientist found that Glycodelin, a pregnancy protein, is secreted by non-small cell lung cancer (NSCLC) and its concentration measured in the serum of NSCLC-patients correlates with tumor progression. Preliminary investigations suggest that glycodelin suppresses the immune system in the tumor microenvironment. If confirmed in further studies, glycodelin may proof a useful biomarker for early detection and monitoring of response to therapy in NSCLC patients. Unter dem Motto "Lunge – Luft – Leben" lädt die Thoraxklinik am Universitätsklinikum Heidelberg ein zu Vorträgen, Informationsständen und Mitmachaktionen für die ganze Familie. Committed postdocs of the Department of Translational Pulmonology presented the work of the Department and the Translational Lung Research Center Heidelberg (TLRC), member of the German Center for Lung Research (DZL), at the Medical Graduation Event 2015. A session devoted to postdocs and senior staff from various clinics and institutes presenting their research, provided an excellent opportunity for the about 350 medical students to inform themselves about future doctoral projects. Contacts were made and we consider this event a perfectly stimulating tool for attracting motivated young talent to lung research. From spring 2016, each newborn in Germany will be tested for the hereditary disease cystic fibrosis. A decision taken by the joint federal committee, the supreme decision making body of physicians, physiotherapists, hospitals and health insurance companies. A pilot study undertaken at Heidelberg University Hospital, funded by the Dietmar Hopp Foundation and the German Center for Lung Research, demonstrated that diagnosis by blood test is reliable and can be incorporated into the newborn screening program. This way newborns can be treated and cared for from the very start of life. This will greatly support and improve the physical development and lung function of newborns with cystic fibrosis. The successful Heidelberg study made a decisive contribution to this decision by the joint federal committee. Professor Dr. Rocio Sotillo , a molecular biologist previously at EMBL (Monterotondo, Italy), has joined the German Cancer Research Center (DKFZ) to lead the newly formed cooperation unit on the molecular basis of lung tumors. The W3-professorship is a joint appointment between the DKFZ and the Thoraxklinik at Heidelberg University Hospital. The DKFZ and the Thoraxklinik are partners in the Translational Lung Research Center Heidelberg (TLRC), member of the German Center for Lung Research (DZL). A large US trial with smokers shows that despite a normal lung function test, lung damage can already be detected by computer tomography (CT). Based on conventional diagnostic tests it was previously assumed that about 50% of smokers will develop chronic obstructive lung disease (COPD) that results in progressive lung damage. In fact, the CT-based results of the US Respiratory Hospital National Jewish Health Study in 8.800 smokers found that in about 80% of smokers, there are clear signs of lung damage despite nonsymptomatic lung function tests. Prof. Dr. med. Hans-Ulrich Kauczor, Chief of Diagnostic and Interventional Radiologoy at Heidelberg Univesity Hospital, assessed CT images of study participants - "The findings are clear: the majority of smokers suffer from chronic lung damage, even if they have not shown any symptoms, yet. Without treatment the COPD will progress unrelentingly". Professor Kauczor leads the Platform Imaging of the German Center for Lung Research and spezializes in the advancement of lung imaging. The study has been published in JAMA Internal Medicine. About 8 million people suffer from COPD in Germany and about 100.000 die each year due to the consequences of progressive lung damage. "COPD in Germany is for the most part avoidable" says the lung expert Professor Dr. Felix Herth, Chief of the Department of Pulmonology and Critical Care Medicine at Thoraxklink at University Hospital Heidelberg. "About 90% of COPD patients still are or were former smokers." Frequently, the lung damage remains hidden, symptoms such as shortness of breath and morning cough are often ignored at first. Once the lung tissue is pathologically altered, it cannot be reversed. The earlier the therapeutic intervention starts the longer the progression of lung disease can be delayed. However, a cure is not possible. 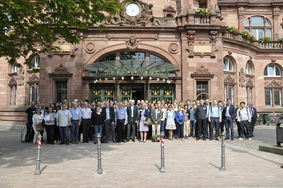 From June 25 -27, leading lung scientists met for the TLRC Lung Conference / 4th DZL International Symposium in Heidelberg to discuss “Frontiers in Chronic and Malignant Airways Disease”. The focus of this conference was on common disease mechanisms that may increase our understanding of pathogenesis, lead to novel therapeutic targets and thus facilitate the development of more effective therapies for chronic and malignant lung diseases. The symposium featured plenary sessions on CF, COPD, lung cancer, mucus and the microbiome by leaders in the respective fields and oral presentations by young scientists selected from the best abstracts submitted. Best of Session Poster Awards were bestowed on Cho-Ming Chao (UGMLC), Milena Costa de Silva (TLRC) and Innokentij Jurastow (UGMLC). The two major medical societes ESR (European Society of Radiology) and ERS (European Respiratory Society) recommend the introduction of Europe-wide annual screening programs for people at high risk for lung cancer. Experts recommend that checkups should be made by means of low-dose computed tomography. 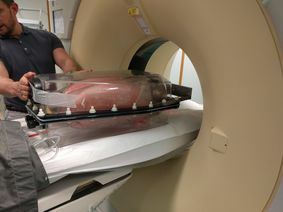 The radiation exposure for patients is significantly lower than in a normal computed tomography of the lungs. The screening programs should also be carried out in clinical trials or in certified medical centers. Cessation programs for smokers are also among the recommendations. The ESR/ERS White Paper - which was written under the auspices of the Department of Diagnostic and Interventional Radiology Heidelberg (DZL site TLRC) - gives recommendations for policy. “A major study from the US has revealed a significant decrease in lung cancer mortality as a result of a screening programme using computed tomography (CT) of the lung. It is our duty to provide recommendations for the implementation of standardised high-quality screening programmes to help reduce lung cancer deaths in Europe”, said the first author of the paper, Hans-Ulrich Kauczor, from the University Heidelberg and the German Center for Lung Research. Kauczor H-U. et al. on behalf of the European Society of Radiology and the European Respiratory Society (2015) ESR/ERS white paper on lung cancer screening. 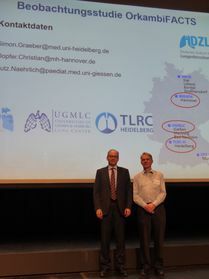 The 3rd Heidelberger Symposium on Rare Lung Diseases, jointly organized by the Thoraxklinik Heidelberg of the DZL TLRC Center and the LungenClinic Großhansdorf of ARCN took place on February 28, 2015 in Heidelberg. Experts in their field of rare lung diseases presented up-to-date knowledge and new insights into diagnostic challenges and therapeutic options for the treatment of rare lung diseases including rare types of asthma, IgG4-related lung disease and CVID-ILD, and Lymphangioleiomyomatosis. For further information please refer to the program flyer and press release (in German). February 2015: Novel target identified for anti-inflammatory therapy in patients with Cystic Fibrosis and potentially other muco-obstructive lung diseases. TLRC scientists identify an important role of hypoxic epithelial necrosis in the in vivo pathogenesis of neutrophilic inflammation independent of bacterial infection and IL-1R as a novel target for anti-inflammatory therapy in patients with CF and potentially other muco-obstructive lung diseases. For more information please see the press release (in German) from Heidelberg University Hospital and the publication in the American Journal of Respiratory and Critical Care Medicine.